How do I setup the Audit Trail in SQL-RD? An audit trail is a chronological record of changes that have been made to a database or file. 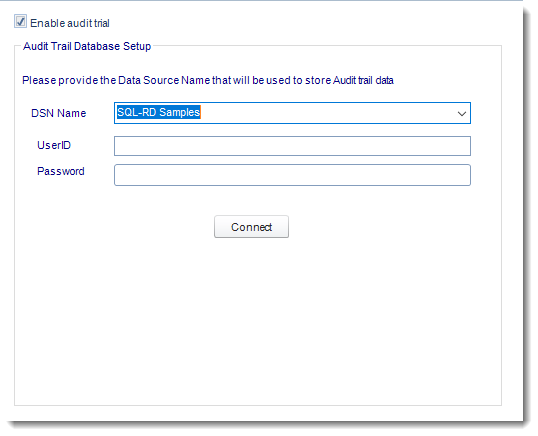 SQL-RD can be configured to create an audit trail that will be stored in a given database. This is how to set it up. An audit trail is a chronological record of changes that have been made to a database or file. 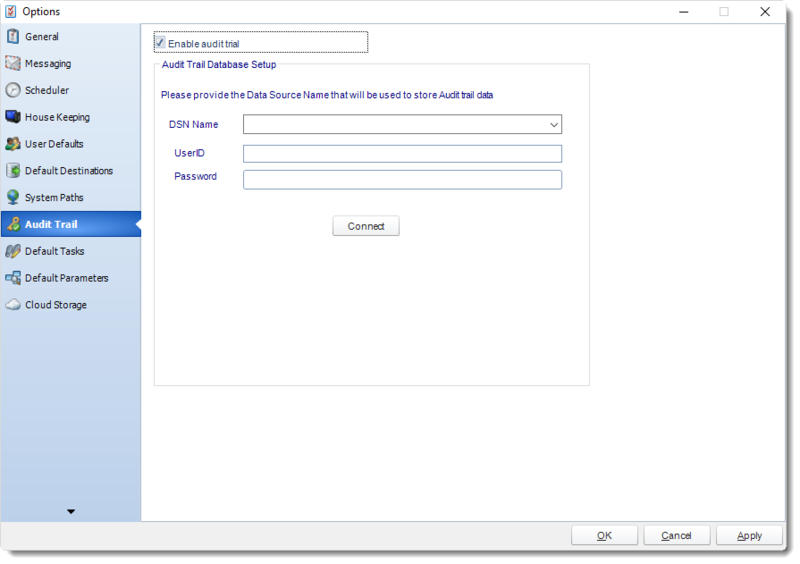 SQL-RD can be configured to create an audit trail that will be stored in a given database. Audit information is not stored in SQL-RD and you must create and designate an external ODBC compliant database for storage. The audit trail will display which users have executed, refreshed, or edited schedules. This audit trail will show common activities, such as which user executed a given schedule, what the user did, the schedule that was manipulated, and the type of schedule. On the Audit Trail tab of the Options window, check the box next to Enable Audit Trail. This will enable the Database Setup fields to be modified. Enter the database name and applicable credentials into the DSN Name, UserID, and Password fields. Then, click Connect. 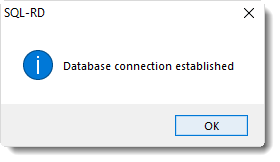 If successful, a pop-up will appear: Database connection established. Click OK.
Click Apply then at the bottom of the Options window to save these settings.